Our new blaster “EZ Blust”, which uses baking soda, is coming soon from Japan. We are looking for business partners (distributor) in the USA. 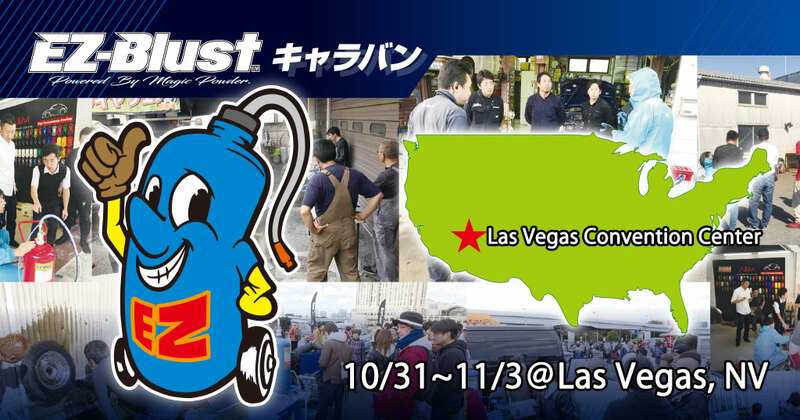 We are going to give a demonstration and have spot sale with limited number at SEMA. Please feel free to bring in your materials / items to try our “EZ Blust” and check out its effect.